Well garden season is almost here, and I can barely stand the anticipation! even though there are garden centres opening up around us! Where I live, you don’t dare plant flowers until at least May 24, or even June 1. So you can imagine, most gardens around here look like this. Brown, with some plants coming to life…slooooooowly. My pots are all empty and sad looking. I actually think that little shovel is frozen into that dirt. And can you see the grass?! It’s brown. And yellow. And sad. So I thought, I’m going to bring my garden in! 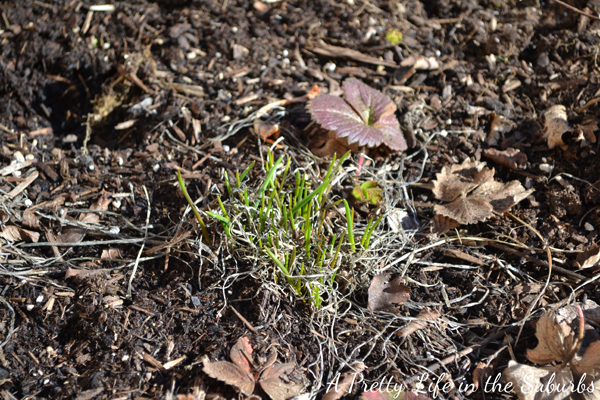 …it’s central to my home, so I can be regularly reminded that garden season is coming! Hang in there just a little longer. So I’m feeling ready for garden season, are you? Want to see more garden-inspired posts? 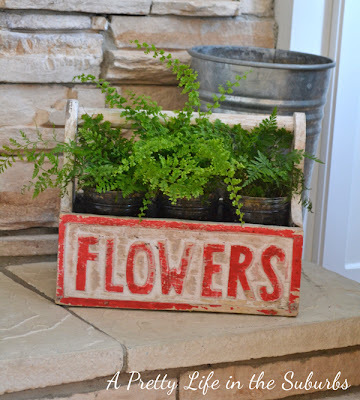 Creative planting: Fun ideas for planters! How does your garden grow? Part 1: Getting the flower beds ready! How does your garden grow? Part 2: Time for planting! Not ready to plant yet? How about Indoor Gardening! 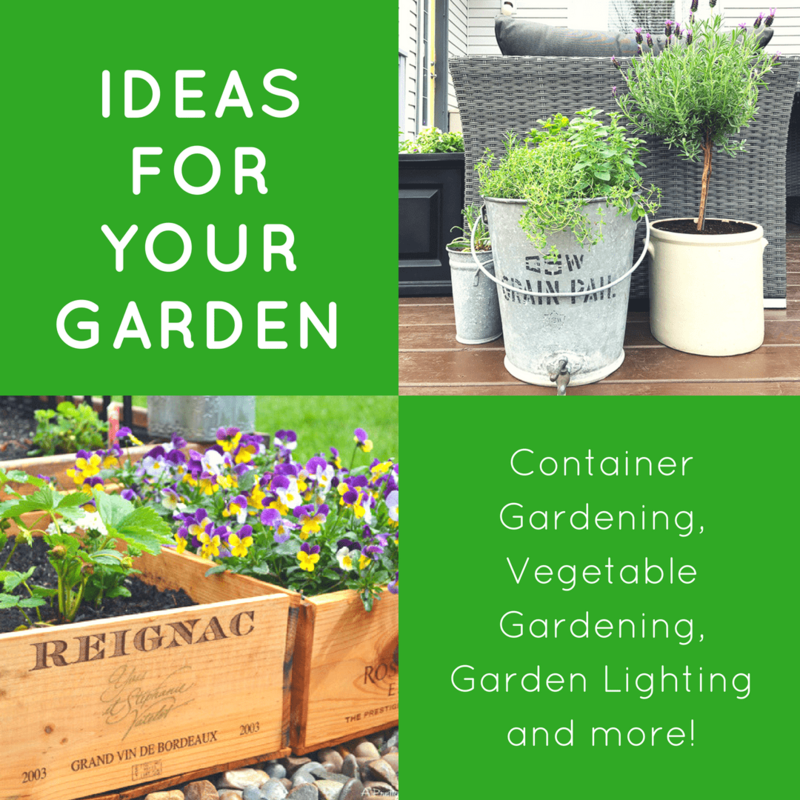 I also have a garden inspiration board on Pinterest! 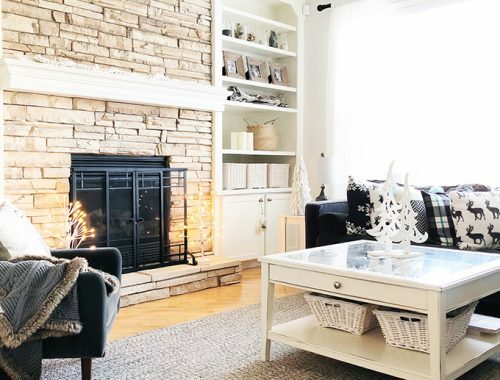 5 Winter Decorating Ideas and Tips! your garden mantel looks great! good for you! What a beautiful mantel! I love the natural, spring look! So pretty! Love it is it real grass? It is indeed! It’s Cat Grass that I found at Safeway! 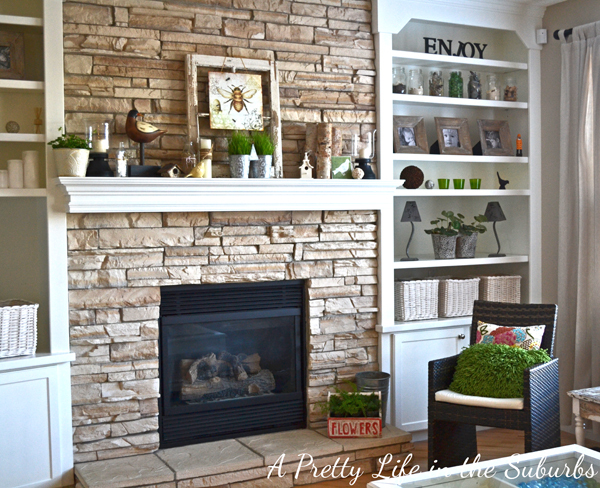 Your mantel is so beautiful, I can’t wait for gardening season too! 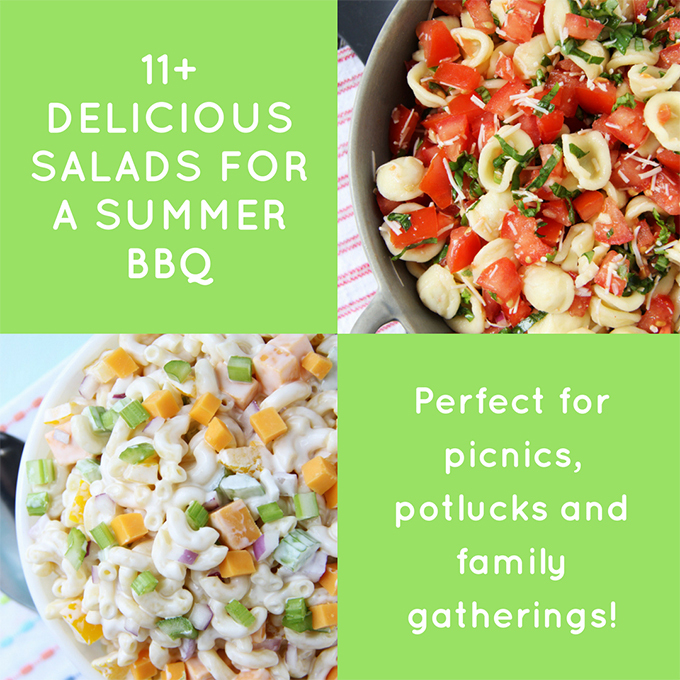 We are pretty much in the same boat as far as planting outdoors, May long is usually when I start planting outside, that is if it isn’t pouring rain or hurricane force winds! 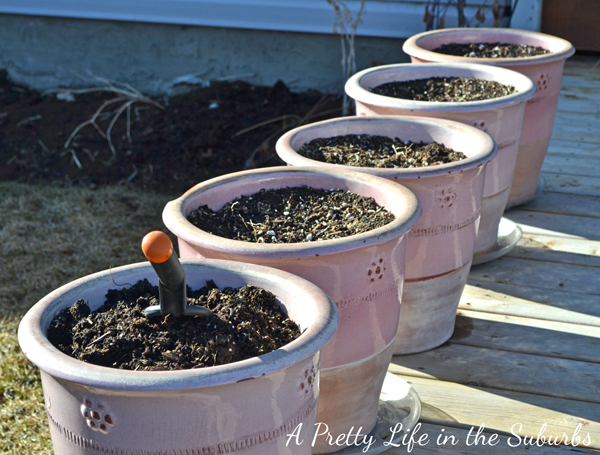 I usually try to wait for May Long weekend too, but this year I’m going to try to plant some pansies a few weeks earlier! Wish me luck! 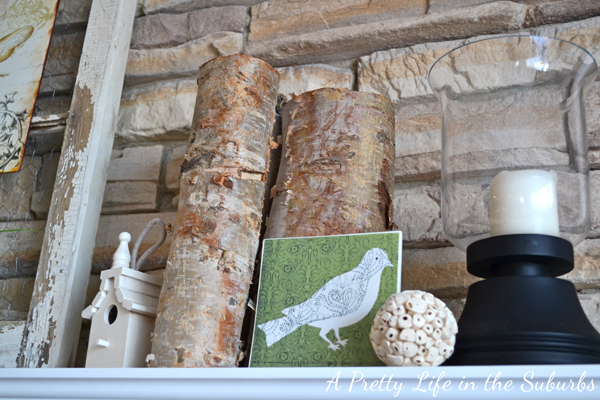 Nature on your mantel – beautiful! We had a few days of spring here last week, but it’s back to almost freezing temps again. My poor tulips that just opened!! 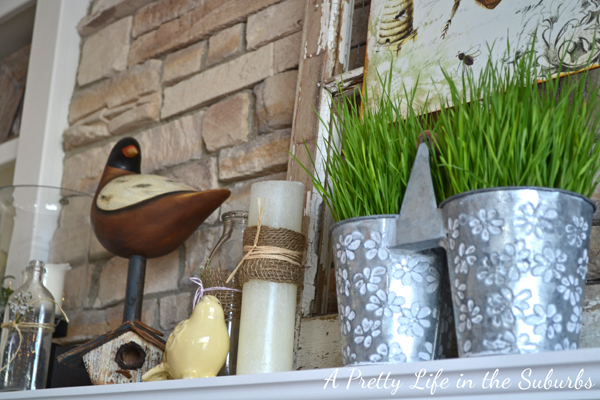 I love your idea of bringing some spring into your house when it just won’t arrive outside!! How pretty! The green really pops I love it. Especially that green throw pillow in the chair. Love your mantel. Simple, earthy and artsy. 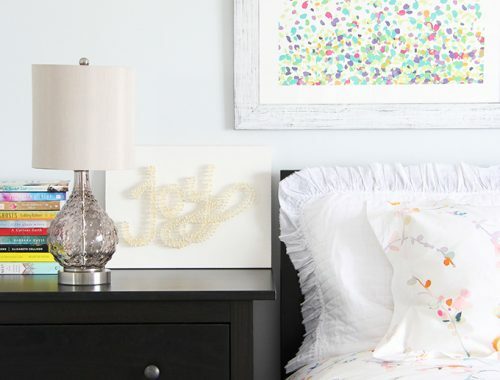 Much of these pieces would fit in your bedroom. Did you pick accent colour yet. Thank you Sheila! How true – these would fit in our room! Hmmmm, now you’ve got me thinking…! Ahh you did such a beautiful job on your mantel!! Love all the decorations~ Love the touch of green and those bark holders! Thank you! I love the birch too! And they are just pieces of wood that I scavenged from my Mom & Dad’s firewood pile! Love it! New follower from Thee Network Blog Hop. Adore your blog! Classic & Beautiful! Love it! This really inspired me to try again at growing things. How is it possible that I grew up weeding a gigantic garden and snapping green beans but I can’t grow a thing on my own? Stopping by from the hop today (we are neighbors). New twitter and pinterest follower. Thanks Gena! So happy to have you here! I too grew up weeding a gigantic garden and snapping green beans! I think I inherited my Mom’s green thumb! I say go for it and garden! 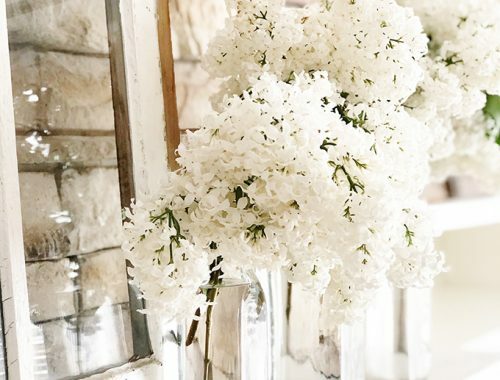 JoAnna, Good for you…it can be spring inside right now! 🙂 I love your mantel! It really does say spring! Beautiful! Love the bee and the flowers on the hearth. 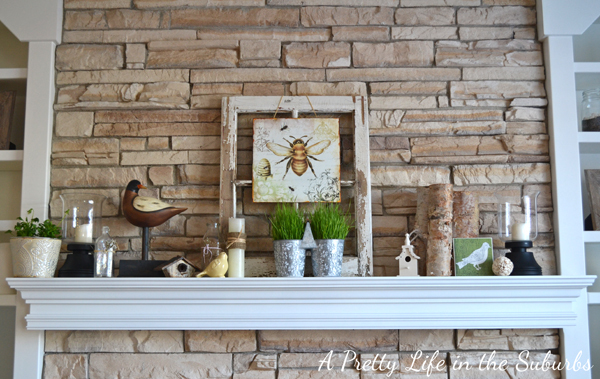 The garden mantel is so pretty! And I’m very much loving your amazing fireplace too! 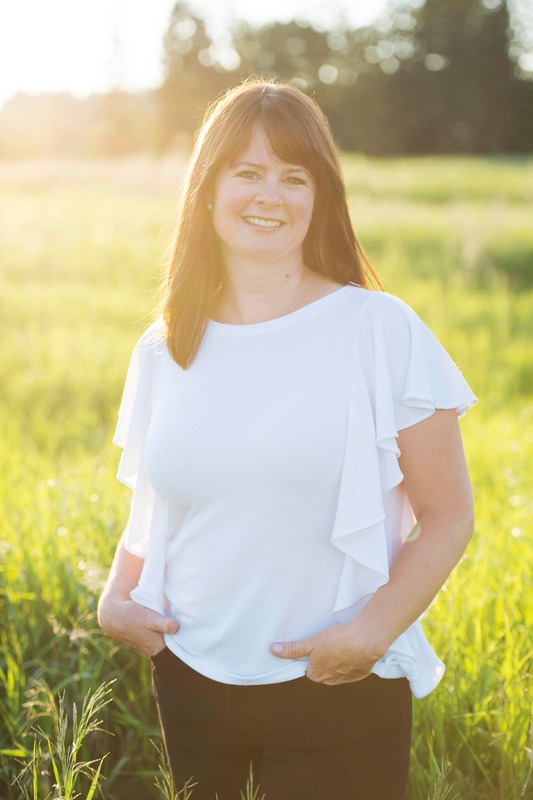 Hi there 🙂 I come by way of the Food Bloggers of Canada – looking to meet more bloggers close to home and I love yours! Your spring decorating pictures are just beautiful and put me in the mood for summer. Nice to meet you and I look forward to following! 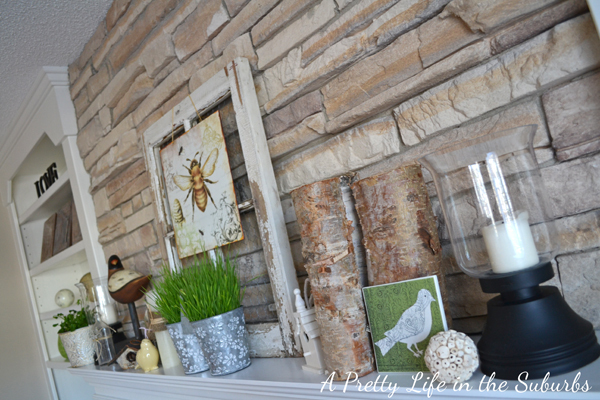 I LOVE your spring mantel! 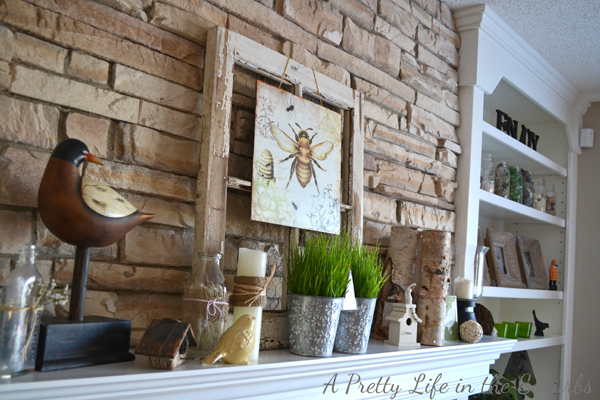 This is so inspired; I love it all, but I think my favorite is the old window frame and the bee plaque. What a wonderful idea! Your home is just lovely; I really like your built-ins. Beautiful bookshelves are such a great feature in a home. Thanks for visiting my blog. That’s not one of my prettier posts 😉 but the middle of a renovation rarely is. I’m so ready for the finished result. I really like your blog, and I’m a new follower. Would you consider following back? 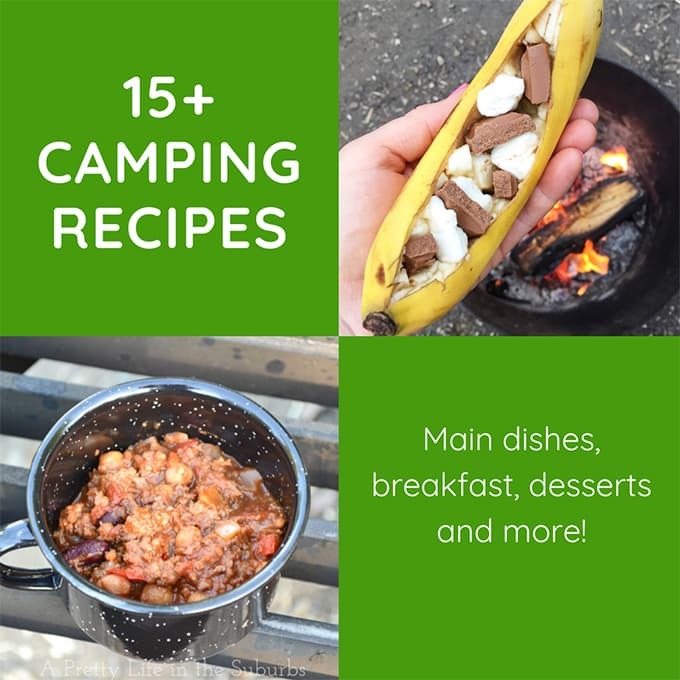 I enjoyed looking at your recipes; I’m collecting for when the kitchen is finished.